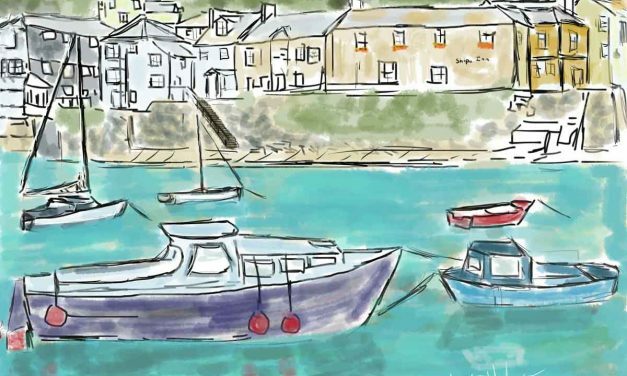 Mousehole has retained much of its charm with narrow streets, art galleries, quaint shops and half-timber cottages. The harbor wall and two breakwaters are there to shield the Mousehole village from winter gales and pounding waves as well as to create a peaceful shelter for visitors to sit and stroll. 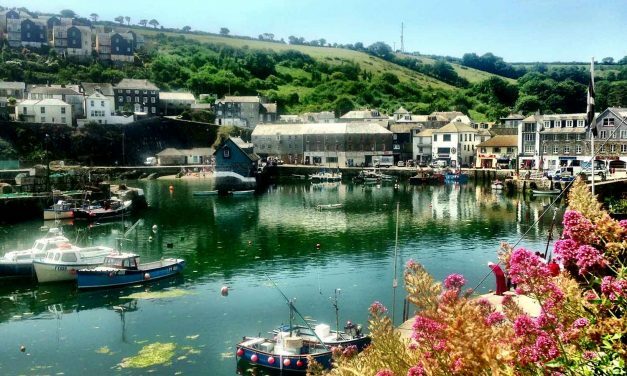 Discover hidden Cornwall and the surrounding countryside dotted with quaint villages along the eastern shore. It is easy to lose yourself for a few days when visiting the eastern coastline of Cornwall, England. 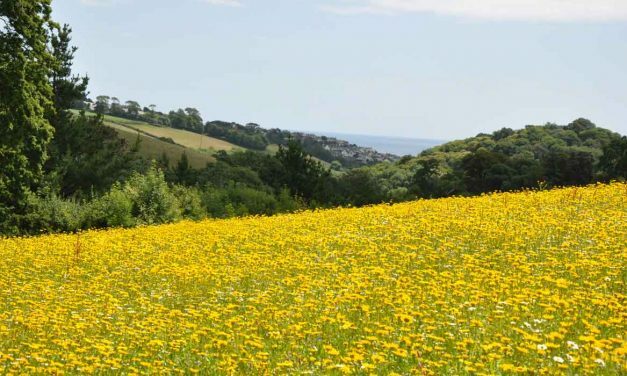 Travel with us by photograph as we guide you to a few of our favorite destinations to travel including Mevagissey and Pentewan (including the Lost Gardens of Heligan). Make no mistake about it: Whether you are a fan of hiking, history, flowers, botany, mysteries, or stories of restoration, the Lost Gardens of Heligan (www.heligan.com) are for you — kids and adults alike. 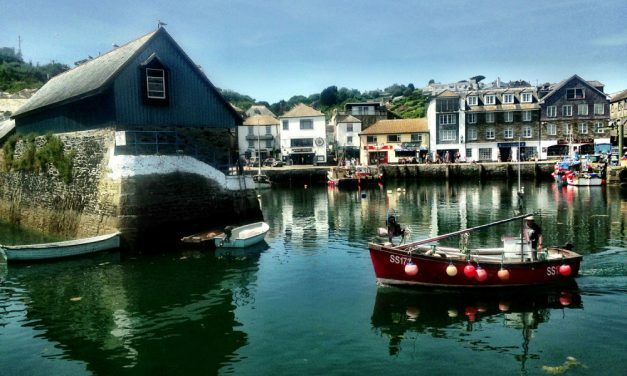 Mevagissey is a picturesque, unique 14th Century fishing village located on the South Cornwall Coast. 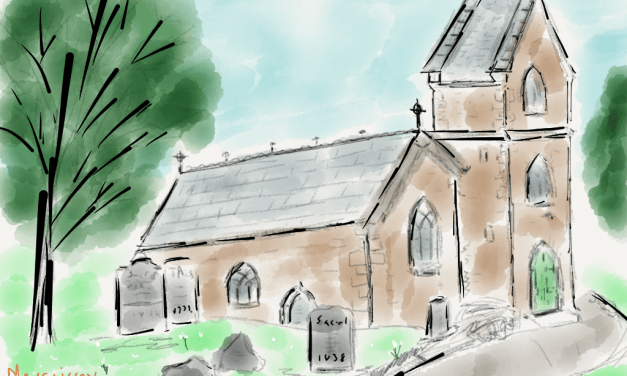 St Peter’s church, dating to the 10th century, offers quiet respite from the often busy harbor and is located on the northern edge of the town. It is easy to lose yourself for a few days when visiting Penzance and surrounding areas along the eastern coastline of Cornwall, England. 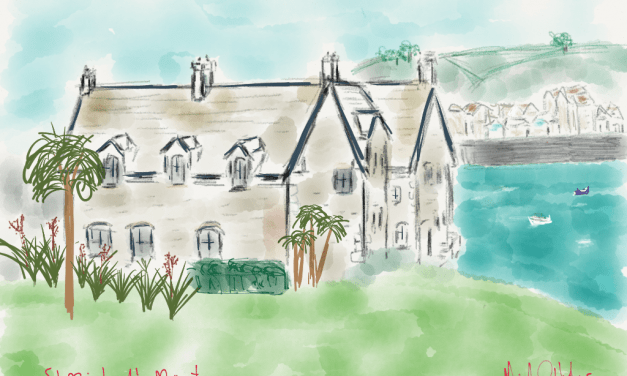 A few of our favorite places to visit in Cornwall include Mevagissey and Pentewan (including the Lost Gardens of Heligan), down to Penzance, St Michaels Mount (where the above image was quickly painted into my journal), and Mousehole. 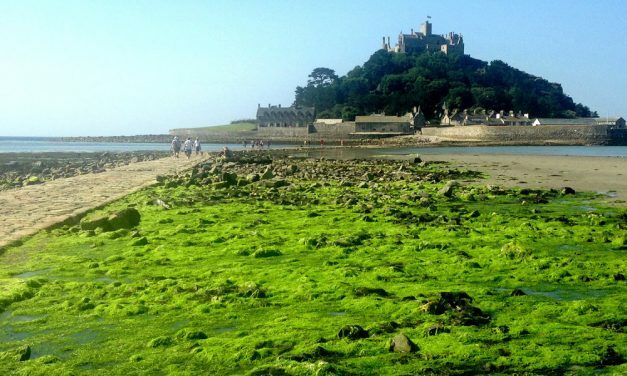 Penzance, located in picturesque Cornwall, is in Mounts Bay, in the far south of England. 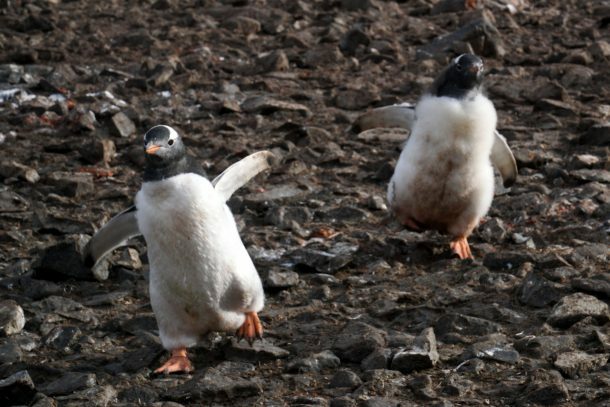 It is a village full of artists, history, seaside charm.